More than four million foreign visitors traveled to Cuba in 2016, an increase of 13 percent over 2015, according to Cuba's Ministry of Tourism. The record number of tourists was led by a big jump in visits from the United States and Europe. The tourism ministry acknowledged, in published reports, that the tourism boom was linked directly to the renewal of diplomatic relations with the U.S. 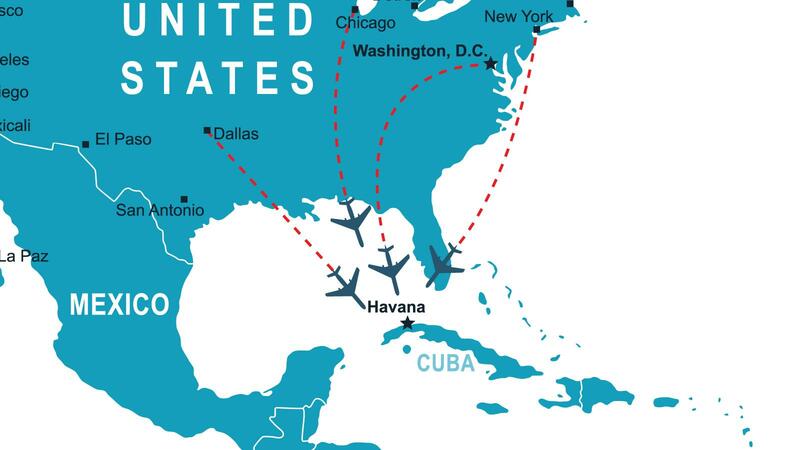 The change in U.S. policy, which was instituted in December 2014, led to the resumption of regular daily scheduled flights in 2016 between a number of U.S. cities and destinations in Cuba, and permits for U.S cruise lines to begin sailing to Cuba. According to the tourism ministry, the visitors added nearly $2 billion to the Cuban economy in 2015, the latest year for which statistics are available. An increase over the $2 billion statistic is almost a given for 2016. The increase in visitors is certain to continue in 2017. Two more cruise lines—Norwegian and Royal Caribbean—have announced cruises for 2017; Carnival Corporation's Fathom line began sailing there in mid-2016. Norwegian has begun selling tickets for its first cruise in May 2017. The other contributing factor for a further increase in visitors in 2017 is that scheduled U.S. airline flights did not begin until September 2016, so a full year of additional flights will bring even more U.S. tourists to the island. The big question mark regarding the airline and cruise ship industry is whether or not the new Trump administration will allow the flights and cruises to continue, or whether there will be a significant rollback in the diplomatic détente and the burgeoning commercial links between the two nations. There also is still some uncertainty surrounding the issue of how Cuba will respond to the growing number of tourists, which is straining the country's tourism infrastructure, and putting pressure on production of locally sourced agricultural products. Although it is difficult to assess the recent reports that the Cuban people are experiencing food shortages because of the tourism boom, those reports have suggested that basic staples are in short supply because of the demand from restaurants and hotels. There is also a limited supply of hotel rooms, especially in Havana. It will be years before a number of hotel projects—some under construction and some still on the drawing boards—will alleviate the lodging shortages. Another complication stems from the fact that late in 2016, the Cuban government announced a series of budget cutbacks due to declining export revenues from commodities such as sugar and nickel, and the sharp reduction in subsidized oil shipments from Venezuela, which is mired in a deep economic and political crisis. A government minister, in a published report, acknowledged that the revenue shortfalls would require a 15 to 20 percent reduction in investment spending on various projects, including in the tourism industry. But despite the problems, the tourism boom is obvious inside Cuba. Cruise ships dock at Havana's port with increasing frequency. The airport is saturated with arrivals from around the world. And, it can be hard to not only get a hotel room in Havana but find a table at Havana's best restaurants.